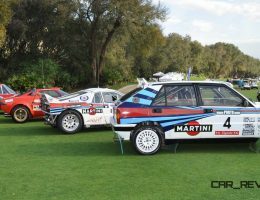 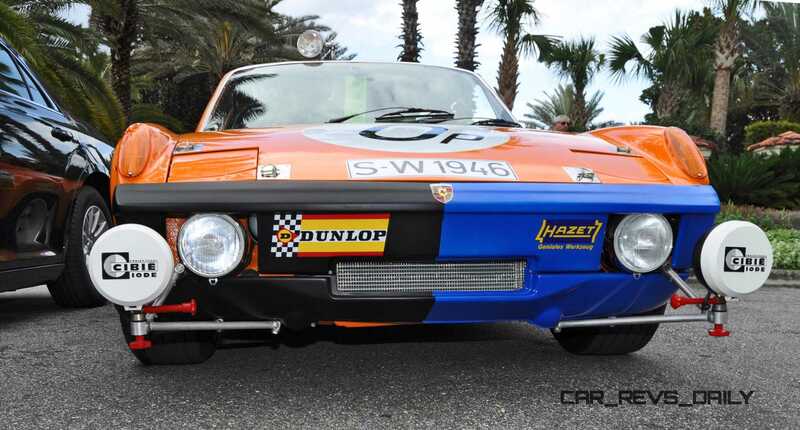 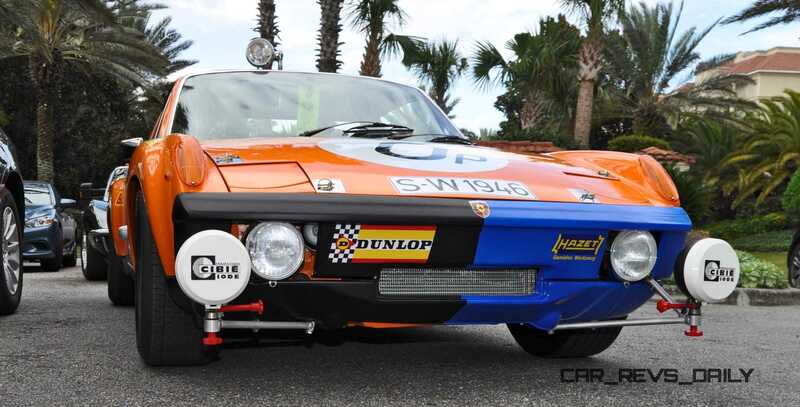 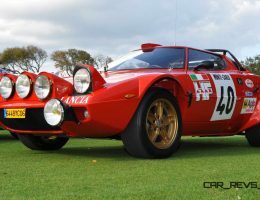 A surprise and delight to see thrumming up the Ritz Carlton driveway for the Amelia Island Concours? 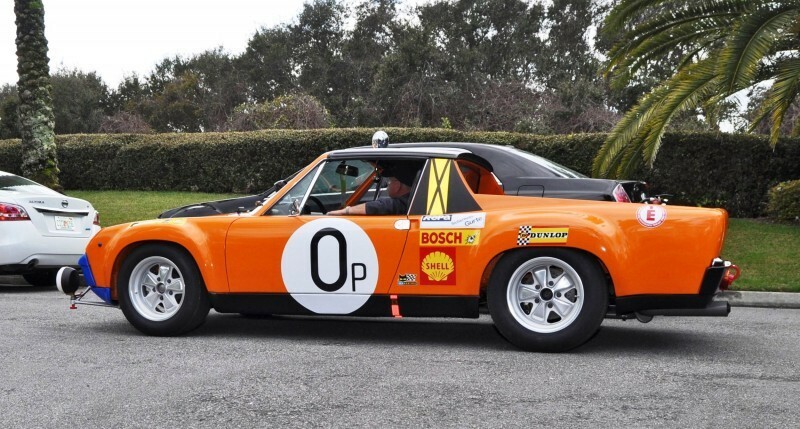 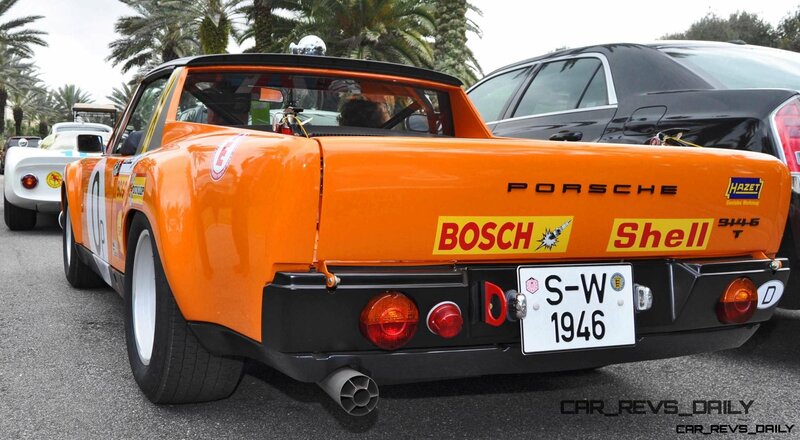 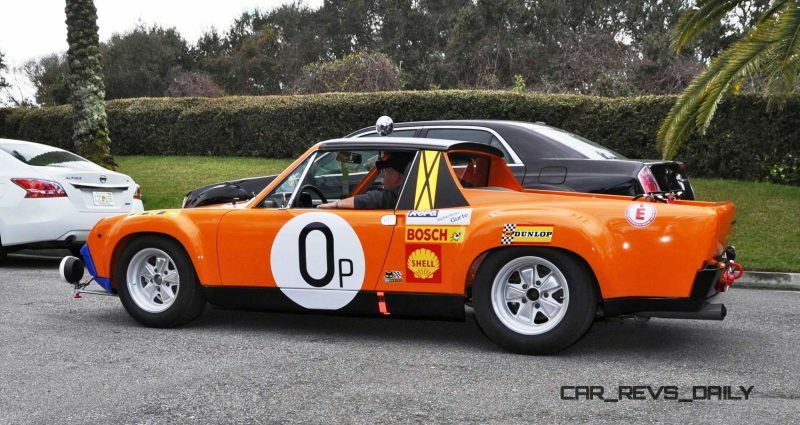 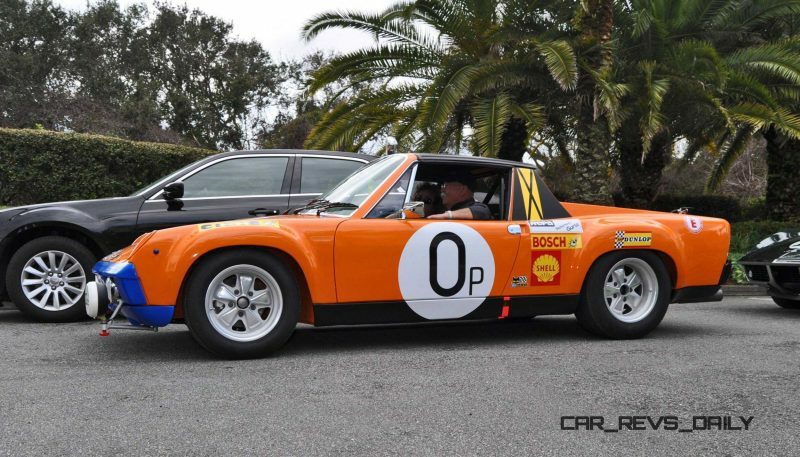 This extremely cool, one-off pickup truck Porsche. 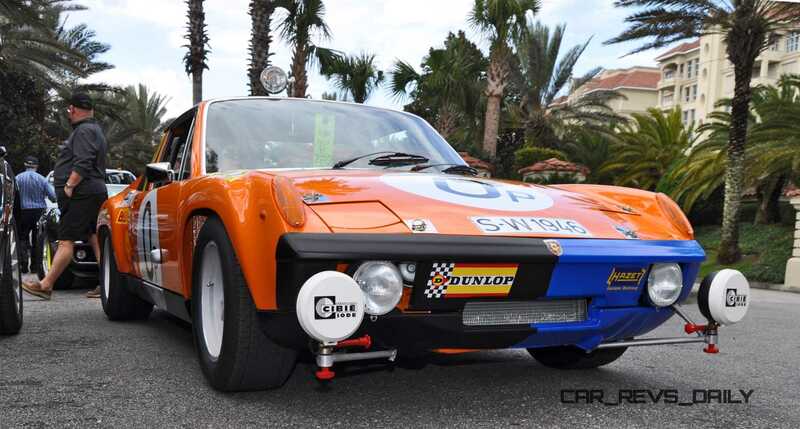 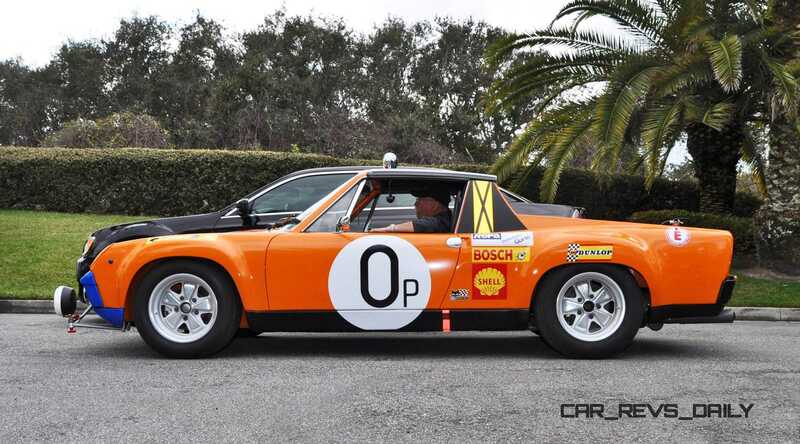 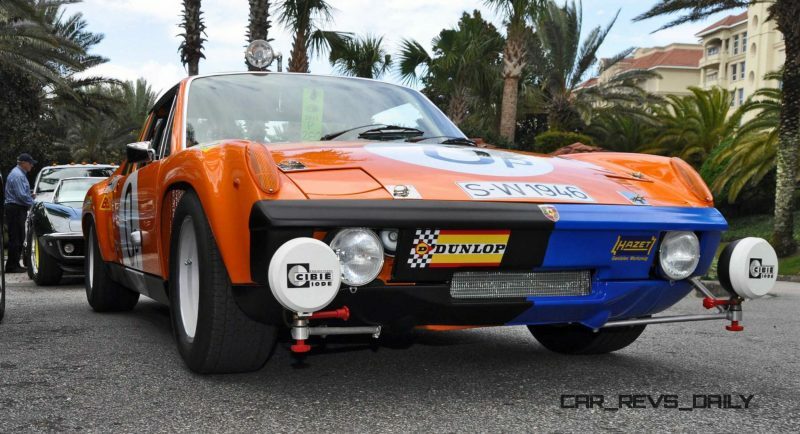 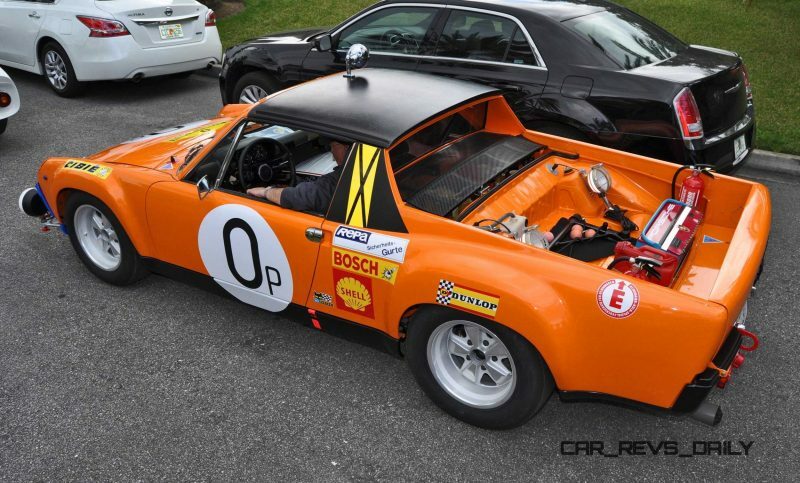 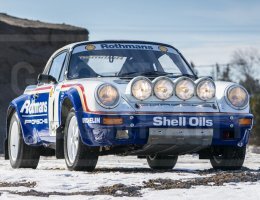 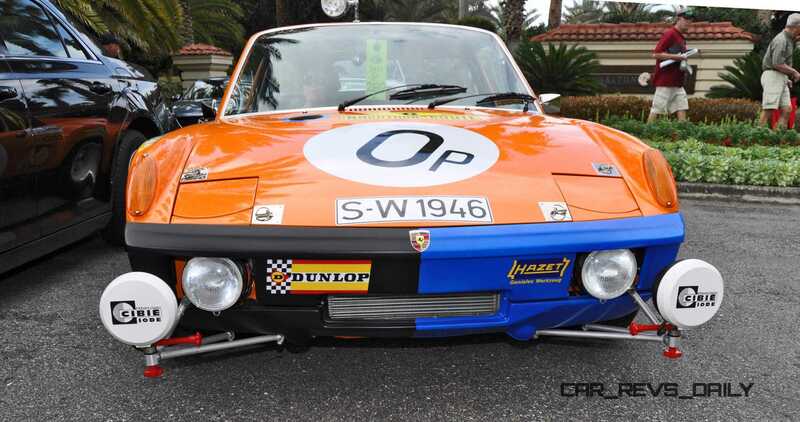 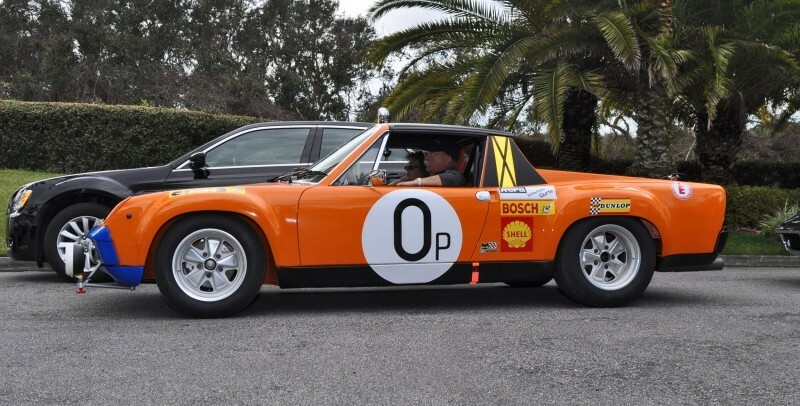 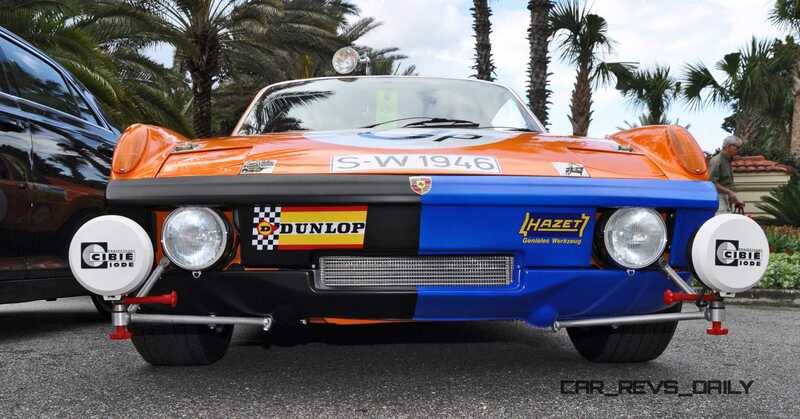 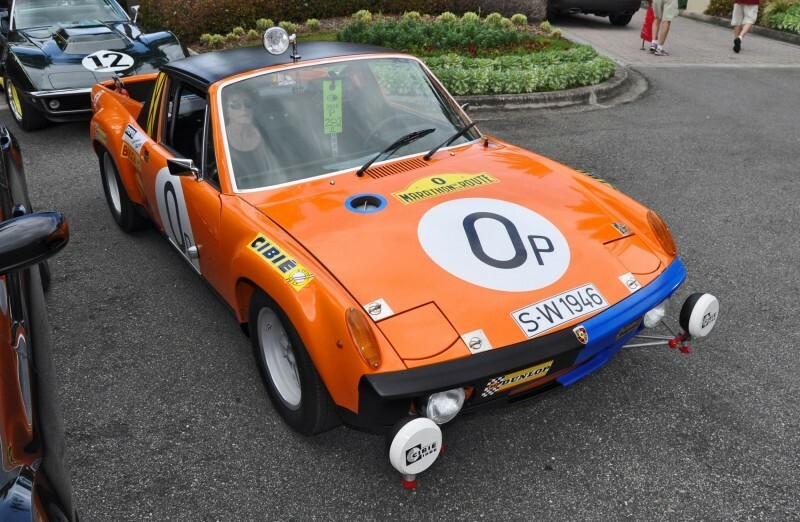 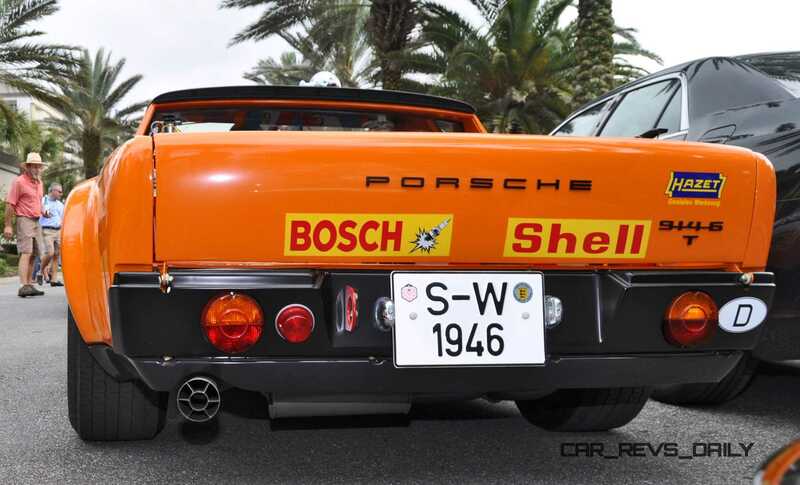 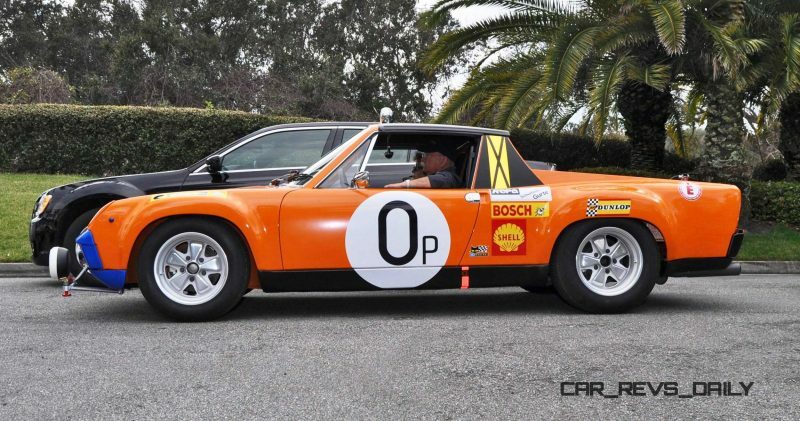 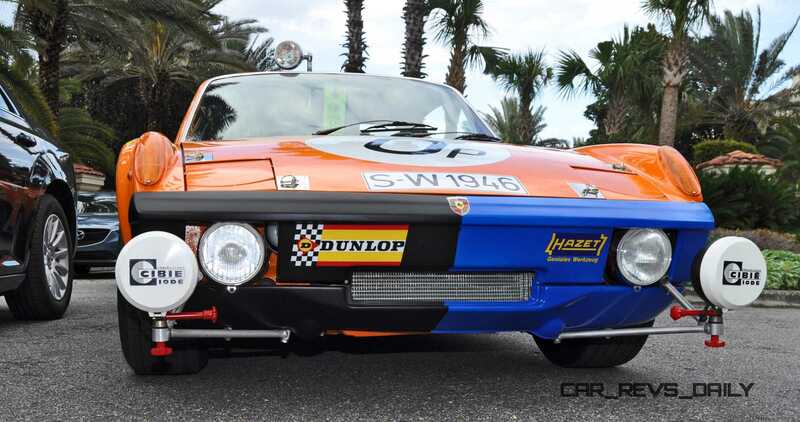 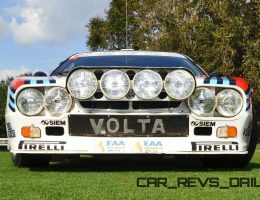 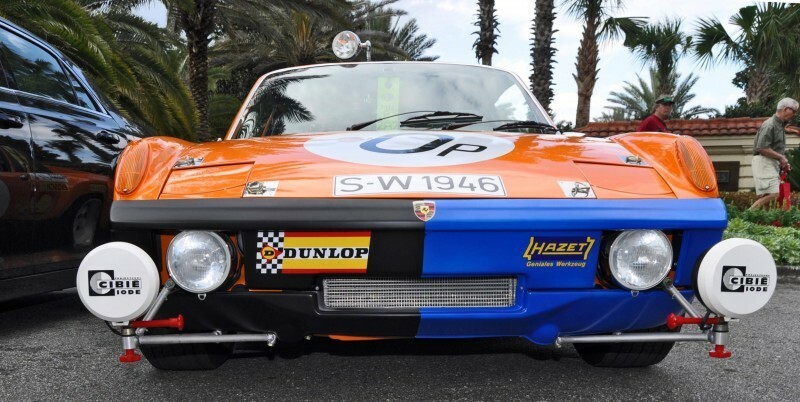 Originally a 914-6 GT, the rear of the truck has been lengthened, the suspension upgraded to full safari rally specification, and the Dakar-ready racing equipment added. 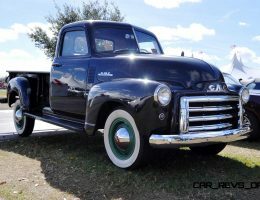 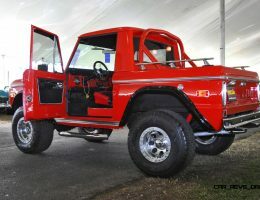 What might fit in this rather compact pickup truck bed? 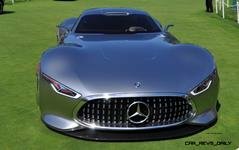 You name it! 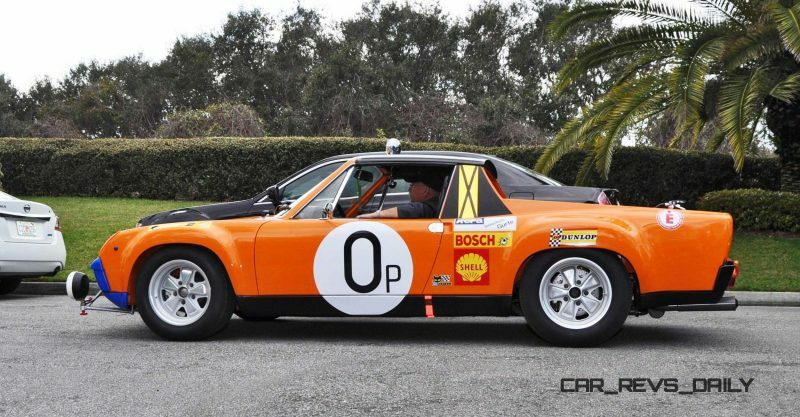 Wheels, tires, Porsche engines, and perhaps even an injured road-warrior in a pinch. 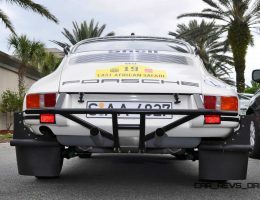 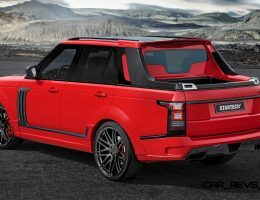 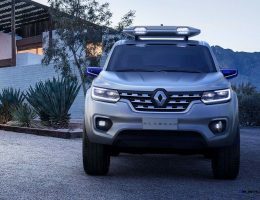 The wide-body style and fenders bring a dramatic width extension to accommodate big off-road rubber and those hardy new suspension components. 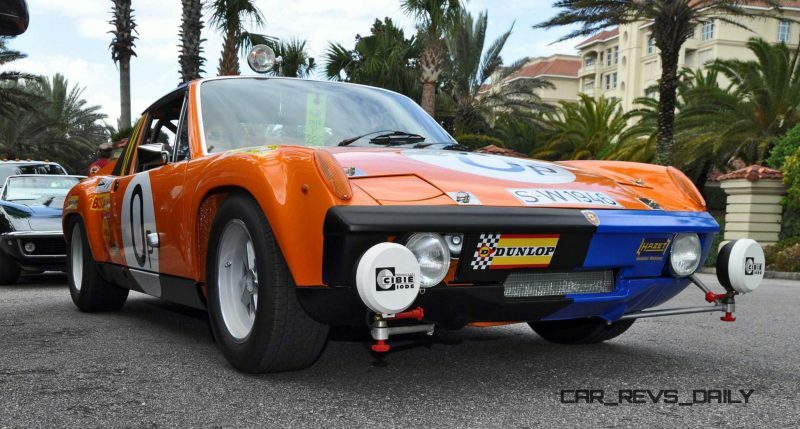 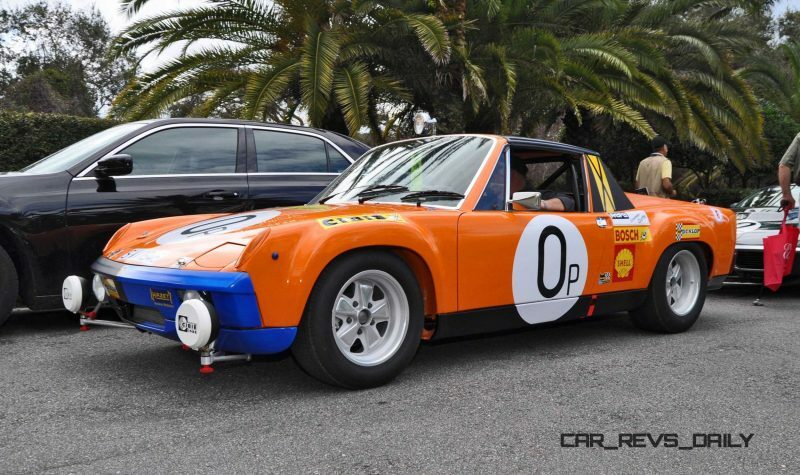 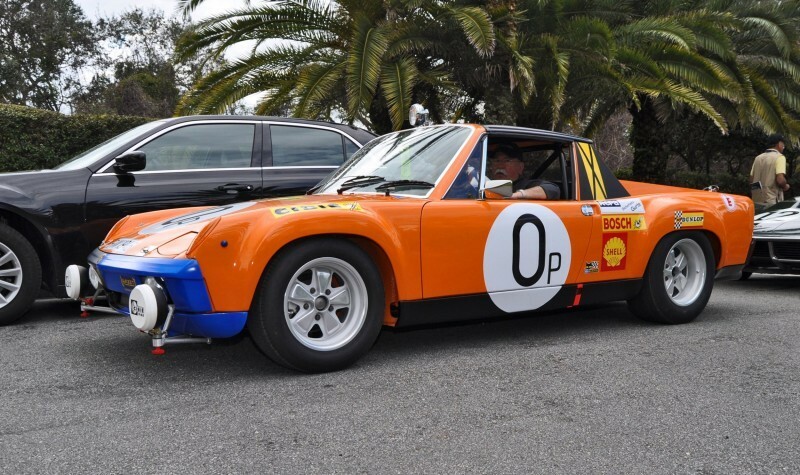 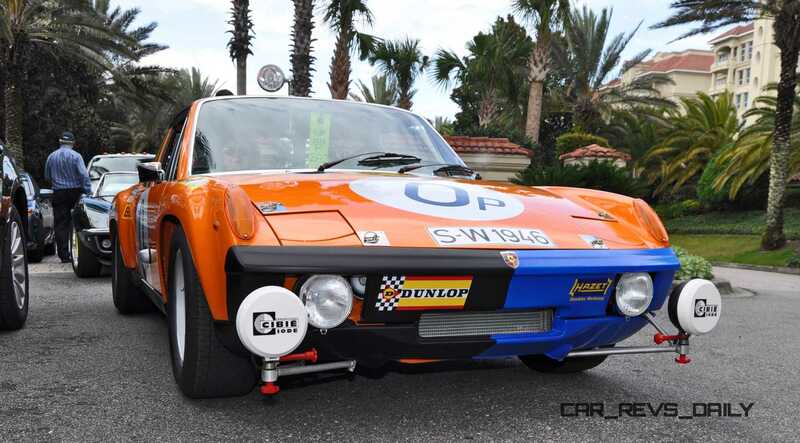 With almost no weight over the nose, this 914 pickup truck is perfect for sailing over soft sand dunes like a balloon. 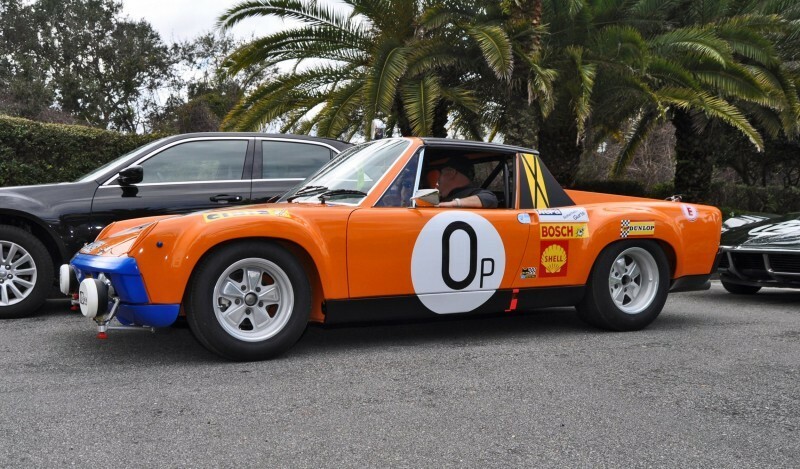 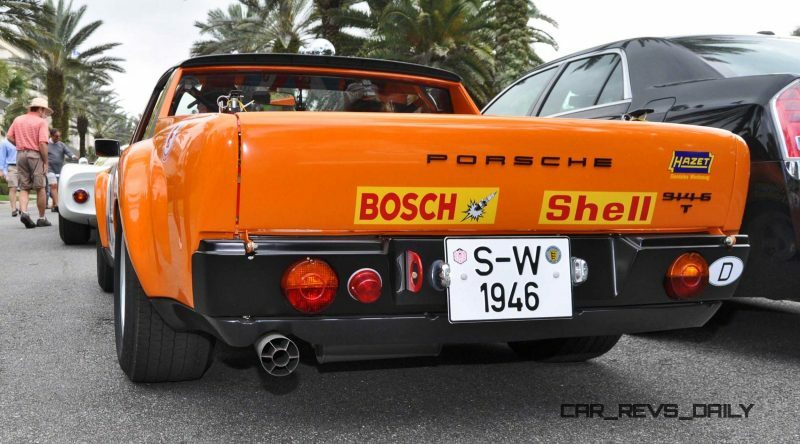 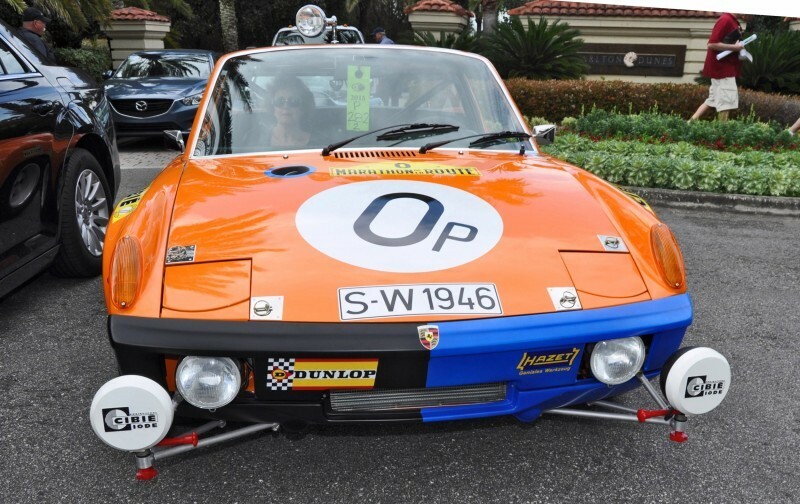 The mid-engine setup ensures solid traction, while the upgraded 914-6 GT power will be helpful for towing and hauling.